Will financial regulatory reform truly change the Wall Street landscape and insure that America never again experiences the economic crisis of the last few years? While we will likely see a number of our political operatives at 1600 Pennsylvania Avenue and on Capitol Hill waving flags and banging drums when the reform measures are inevitably passed, let’s listen to some political and financial insiders who have a different take. We’re different, right? The economic problems in Greece and other nations within the EU are their problems and not ours. Really? 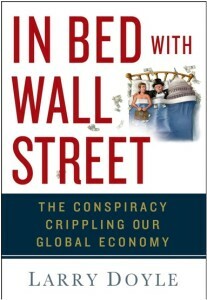 In my opinion, Americans are far too complacent regarding our economic problems. We shouldn’t be. Will the economic, political, and civil waves of unrest rolling across Europe come ashore here in America? It is only a matter of time unless those in Washington charged with addressing the underlying issues take swift action. I have seen zero inclination and political will to do just that. Our Washington elite are so used to feeding at the trough that they would not know how to pull themselves away. How is America responding to these fat pigs? What will the future of Wall Street hold? No man is attracting more attention regarding that very question than former Fed Chair Paul Volcker. What might the Volcker Rule mean for Wall Street? For those with an interest in the global economy and markets, Volcker provided an extensive interview recently to the Financial Times. In this interview, the former Fed chair talks more ‘sense on cents’ than anybody I have come across since launching this blog a year ago. I STRONGLY recommend reading it and saving it. Volcker’s interview will serve as a fabulous reference map as we collectively navigate our economic landscape. The Wall Street lobby in all its glory is fighting tooth and nail to defend its turf from the volley launched by former Fed Chair Paul Volcker. Recall that the newly designated Volcker Rule, if implemented, would disallow proprietary activities from those institutions taking consumer deposits. 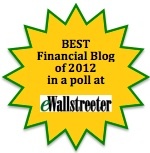 This implementation would effectively reinstitute the Glass-Steagall Act which was rescinded in 1999. While those on Wall Street and Washington pretend to listen to the needs and concerns of middle America, they have been shown to be ineffective time and time again in developing and implementing sound financial practices and regulations. America is increasingly aware of just how deeply embedded and incestuous the Wall Street-Washington relationship has become. 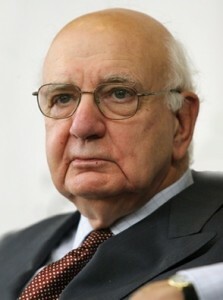 Who within this Wall Street-Washington circle “gets it?” Paul Volcker. Market analysts and government officials would attempt to define overall confidence in the economy utilizing a variety of data. In my opinion, consumer confidence is ultimately a function of two factors: employment and housing. While Uncle Sam has spent trillions of dollars backstopping various sectors of the financial markets and billions in economic stimulus, the size and scope of our employment and housing markets vastly overwhelm Uncle Sam’s ability to ‘prop them up.’ As a result, I am not surprised to see the monthly data on consumer confidence reflecting real weakness. Confidence among U.S. consumers unexpectedly fell for a second month in October, reinforcing the views of Federal Reserve policy makers who say household spending will be restrained by rising unemployment.